We never seem to tire of the adventures of the Three Musketeers. 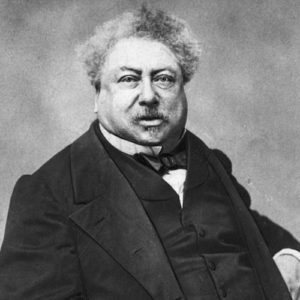 The author of the novel, Alexandre Dumas (pictured), wrote hundreds of books, including fiction, History, Travel, Politics, Culture and Cookery books. He was also a well-known Dramatist, has a Paris Metro station named after him and is buried in the Pantheon. 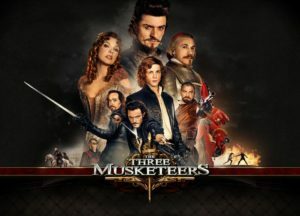 But the Three Musketeers is easily the most famous of his works. It has never been out of print since it first came out in 1844, although no full English version (now including the scenes considered too scandalous by Victorian translators) appeared until 2006. There have been at least 30 film versions made, the first a modest silent film of 1903, 9 Cartoons- including Dogtanian and the Three Muskehounds (which my children enjoyed when they were young) and the latest being the extraordinary Barbie and the Three Musketeers, at least 10 Television serials- including the recent one on BBC, plays, musicals, computer games and comics. There has even been a chocolate bar named after them. It is certainly hard to resist the escapades of the four gallant and handsome young soldiers of 17th Century France, who were the finest swordsmen of their day as they fall in love with beautiful women, get involved in court politics, and through their skill and bravery foil the fiendish plots of Cardinal Richelieu, the real ruler of France in the 1620s, to embroil France in a war with England whilst destroying the reputation of Anne of Austria, the Queen of France. 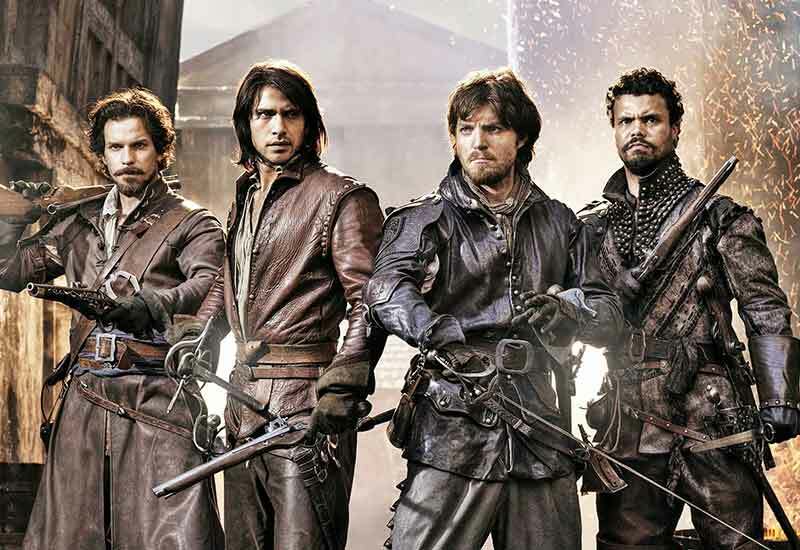 Their rousing slogan- “All for One and One for All” demonstrates the special bond the three Musketeers- Athos, Porthos and Aramais- have with their new friend D’Artagnan. But is any of it true? Dumas certainly claimed it was. He freely acknowledged that his story was based on the Memoirs of D’Artagnan, an obscure book which he borrowed from a public library. 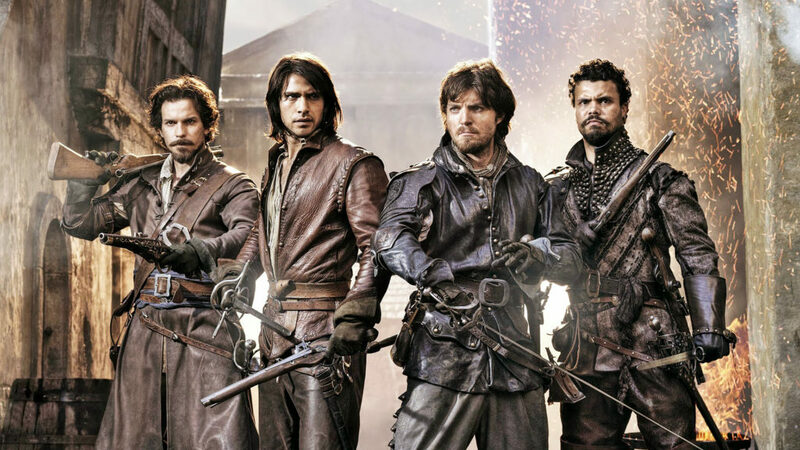 And there is no doubt that D’Artagnan was a real Musketeer- which meant he was not just an ordinary soldier, but a member of the King’s elite bodyguard- and that the Three Musketeers themselves were also real soldiers, although their actual names were D’Athos, Porthau and D’Aramitz. Dumas- who helped establish Historical Novels as a new literary form- obviously invented the conversations and some events, but always claimed his story was based on real events. This was not in fact true. The book which Dumas relied on was itself a novel and Dumas knew that all along. But by including real people such as King Louis XIII and Richelieu, and real events, Dumas made the story sound convincing as well as exciting. The three Musketeers existed, but very little is known about them. We know a little more about the real D’Artagnan however. Charles de Batz D’Artagnan was born in 1611- and therefore much too young to have been involved in the events of the novel, which take place in 1625-8. He did not move to Paris and join the French army until 1632. He worked for Richelieu’s successor, Cardinal Mazarin from 1642. He did not in fact become a Musketeer until 1658. His real claim to fame was that it was D’Artagnan, by now completely trusted by the young King Louis XIV, who arrested Nicolas Foucquet, the most senior Minister in the government, in 1661. Foucquet, an experienced, brilliant financier, was also corrupt and had built himself a fabulous palace at Vaux Le Vicomte. It was grander than anything the King owned, and Louis determined to destroy his over-mighty Minister. D’Artagnan remained as Foucquet’s guard until his conviction for fraud four years later. As for Louis, he was so impressed with Vaux-le-Vicomte that he decided to build an even bigger palace, and that of course was Versailles, also the subject of a recent fictionalised TV series. By 1667 D’Artagnan was both Captain (Commander) of the Musketeers and Governor of the city of Lille. But administration bored him, and he asked Louis to let him return to active service. He died in 1673 aged 62 in a battle at Maastricht. The real D’Artagnan played an important part in the early part of the reign of Louis XIV, but was in reality nothing like Dumas’ swashbuckling hero. In fact he seems to have been arrogant, ambitious and ruthless rather than handsome, popular and heroic. But I suspect D’Artagnan would be pleased that people today prefer the myth to the reality. Previous articleCeliac Disease didn’t hold me back from my weight loss dream!